Our practice areas focus mainly in healthcare; specifically, Medical Malpractice (Protecting you from Medical Malpractice), Nursing Home Abuse and Litigation (Protecting Nursing Home Residents), Guardianships and Surrogate Litigation (appointing independent third parties) and Litigation (in State and Federal Civil Lawsuits). We deeply and sincerely care about our clients and their welfare, and have actual experience in the healthcare industry. 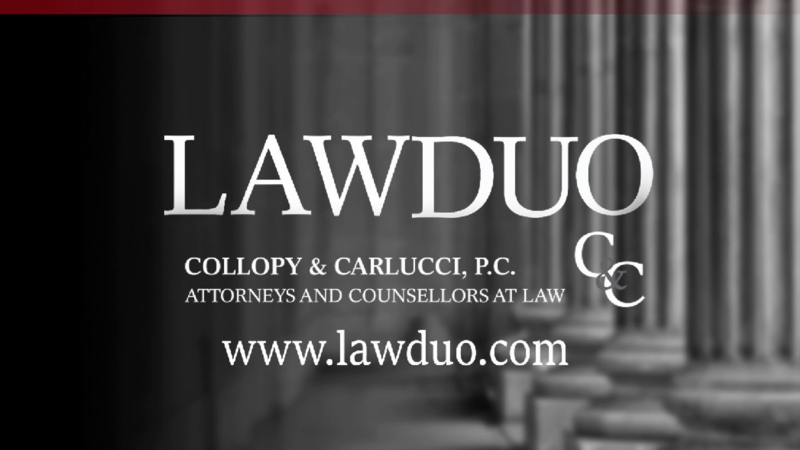 The goal of Collopy & Carlucci as a law firm, is to provide a dedicated, compassionate and focused framework for the benefit of our clients.